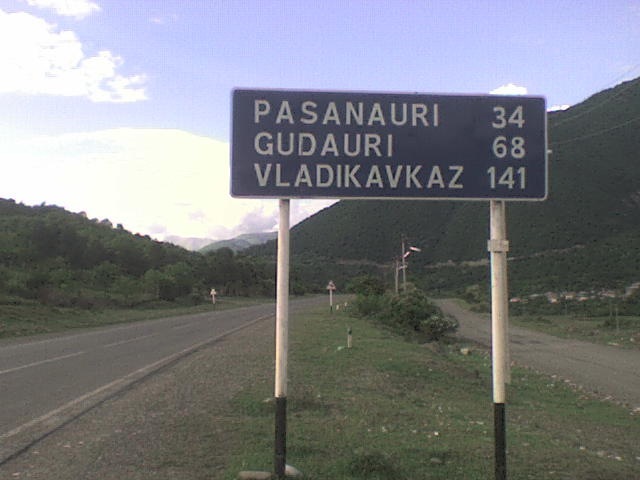 Our next road project in Georgia is the Vaziani-Gombori-Telavi (VGT) road, east of Tbilisi. After a frenetic week in Tbilisi appraising the Third Highway Project, my colleague Elena and I had a break from the office to do a field visit to familiarize ourselves with the VGT road. We also used the opportunity to visit some other parts of Kakheti Region, a place neither of us had been before. At a recent meeting in Washington I was discussing the issue of chance archaeological finds with the World Bank’s regional safeguards co-ordinator. She commented that in Georgia you cannot put a shovel in the ground without finding something ancient. Very true. In fact, we had just recently uncovered a 7,000 year old burial site when excavating the new section of the East-West highway. While being inconvenient from a progress point of view, has yielded invaluable insights into ancient Georgia. I have done some work on our family tree and we have traced the Bennett family back to the 18th century. The name Bennett comes from the medieval given name Benedict, originating from the Latin "benedictus" meaning "blessed" and. while I may occasionally curse my job because of all the travel, I have been blessed in so many ways. Although my wife and I are childless, my brother and cousins have done their best to keep the family name alive. However, thanks to my work at the World Bank I have trumped them all by ensuring that the name Bennett will never die out. How? 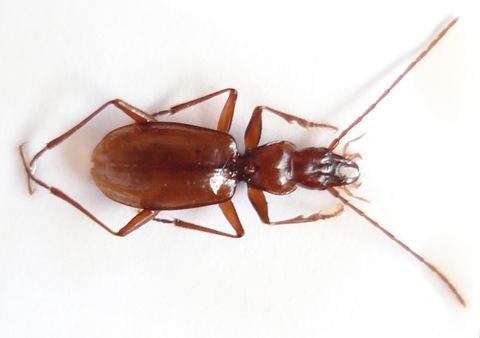 By having a beetle named after me – the ‘Superbotrechus Bennetti’. The World Bank organized a regional retreat in Georgia at Lake Bazaleti some 50 km from Tbilisi. The location was just off the ‘Georgian Military Road’, which was constructed by Russian engineers starting in 1799, helping cement Russia’s annexation of Georgia in 1801. It was an incredible feat as they had to traverse the Caucasus mountains from Vladikavkaz in Russia to Tbilisi, and in doing so built a road which was better than most roads that existed in Russia. Since I had my bicycle with me, I took the chance for a short visit to this historic area. You are currently browsing the World Bank Traveller blog archives for June, 2009.